Since 1996 we supply standard sized mattresses and made to measure mattresses, for everything that a mattress could be needed for. Caravans, campers, boats, cots, cribs. Rectangular, square, oval, round, with a hypotenuse and all other forms. Our machine park consists of modern machines. 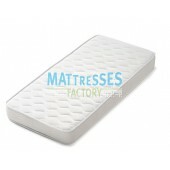 We have 20 years experience and enough knowledge to manufacture high quality mattresses in our factory. We apply fair prices and short delivery times. We are glad to assist you, consumer or company, in order to make sure you get all the information and advice you need in order to make the right choice. We also do projects for e.g. campsites, hotels, charter boats etc. 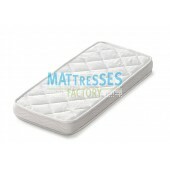 The raw materials of our mattresses come from Netherlands, Belgium and Germany, this gives you the guaranteed that you are buying a safe product and no far East imports. 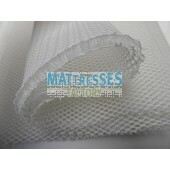 We only use A grade materials, we select the suppliers of our raw materials accurately. 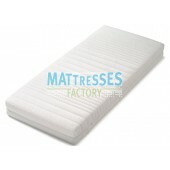 Wether you need 1, 10, 50 or 100 mattresses, you can always count on the fact that you will get the best prices and conditions. If you have any questions please email us at: info@mattressesfactory.eu or call: 00-31-492-547174, we would love to hear from you. We hope to see you at the mattress factory in Helmond.